Lovemore Chikopa, the Malawian citizen president Michael Sata imported to chair a tribunal set up to probe three judges, will for now remain in Zambia despite a stay granted by the courts against the proceedings, according to the government controlled Times of Zambia. Chikopa is staying at the five star Pamodzi hotel with tight security all at Zambian taxi payers’ expense. 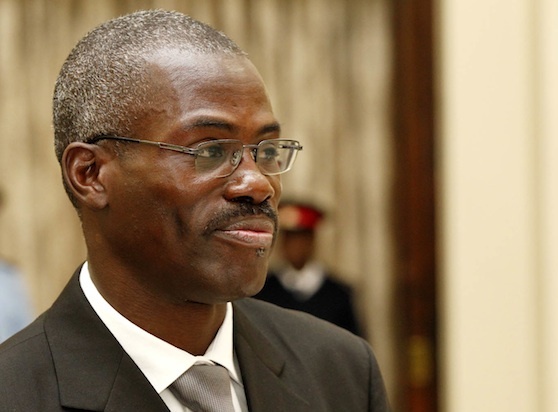 Justice Minister, Sebastian Zulu said in Lusaka in an interview that Mr Justice Chikopa would for now remain in the country and that a decision would only be made when the Supreme Court sets a date for the appeal hearing. Two of the three suspended judges, Nigel Mutuna and Charles Kajimanga have obtained a stay to prevent the tribunal from sitting to hear their alleged impropriety pending the full determination of the judicial review by the High Court. The two Judges are asking the High Court to quash President Michael Sata’s decision to constitute a tribunal to conduct investigations of alleged impropriety or incompetence. High Court Judge, Fulgence Chisanga, last week granted the duo leave to apply for judicial review which would operate as a stay of Mr Sata’s decision. Mr Zulu noted that since the tribunal was appointed by President Sata, it was only him that could advise otherwise. “If the Supreme Court takes a longer time to hear the matter, I agree that the judge should first go back to Malawi until the matter is disposed of in court,” Mr Zulu said. Several sections of society have called for Mr Justice Chikopa’s to return home pending the disposal of the case in which the two judges are disputing the decision by President Sata to set up a tribunal.